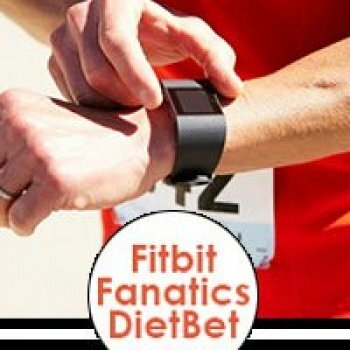 Fitbit Fanatics - Why "Weight" for January? Why wait for January? Join this challenge and start 2019 4% lighter! Step challenges + prizes = motivation galore! Keep the momentum going! A new game has been set up for all players starting on Apr 11, 2019. Keep the momentum going! A new game has been set up for all players starting on Mar 11, 2019. Prize for each challenge is the winner’s choice of either a $20 Amazon gift card, or $20 in DietBet credits (may be used towards StepBet, too) except for the 10,000/day step challenge. That prize is worth $25 – either an Amazon gift card, or DietBet credits. You may win challenges #2 - #13 only once. All players are eligible to win challenge #1. Denise A. , Kalen L. and 12 others like this comment. Congrats to all the winners! 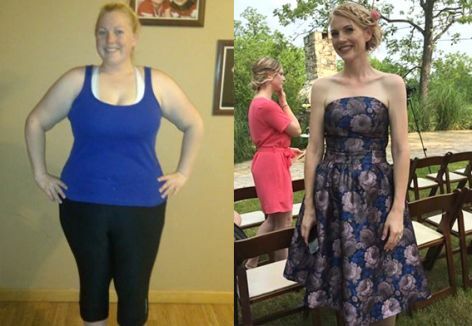 And a big thanks to Jen for hosting this awesome DietBet... I will definitely be joining the one for January and hope to see some of you there again! Keep the momentum going! A new game has been set up for all players starting on Feb 01, 2019. Your game has now been finalized. Congratulations to the winners! You earned a 104.8% return on your money simply by investing in your own health. Don’t you wish all of your investments paid out at that rate of return? - Most Liked Comment: "I’m back.....been struggling & im looking forward to getting my yoyo gain off & push towards goal weight! Slight set back but I am refocused & ready to be free from food & get my steps in...every. Single. Day " by Valerie D.
Annica , Jessica and 6 others like this comment. Hello everyone! Just remember that this time of year is extremely busy with the January games starting up. So it may take a little longer for this game to be finalized. Our referees work around the clock to verify weigh ins as quickly as possible. So hang in there! Also, if you won a step challenge and requested an Amazon gift card, these have all been purchased and distributed via email. So be sure to check your Inbox or Junk mail folders for yours! Denise A. , Alicia R. and Austin K. like this comment. Whooohhooo!!! I just made it!!!! Jessica , Nance and Annica like this comment. Don't forget - today is the last day to submit your weigh in! You have until 11:59 pm PST tonight to submit! I've emailed the last two winners. And now am waiting to hear back. Once those winners are verified, I will request the gift cards for the winners that chose that prize. Annica , Latisha G and stoneformation like this comment. This morning I am 80% of my goal, I have 1.3 lbs to go!!!! Not sure if I’ll make it. But this has been an amazing journey. Truthfully, I have never lost weight in December EVER before. I know I did everything possible to win this game in a healthy way. I have 19 hours left to submit. We will see what happens! Any suggestions? Don't forget to submit your final weight for this challenge. You have until 11:59 pm PST on January 2 to submit. Congrats to everyone for joining the challenge. Losing weight during the month of December is not easy. Personally, I did not hit my goal for this challenge. But I'm hitting the ground running (literally & figuratively) today! I hope to see you in the Fit & Lean in 2019 challenge that starts today. If no, then best of luck to you this coming year! Denise A. , Latisha G and 7 others like this comment. This morning I am 80% of my goal, I have 1.3 lbs to go!!!! Not sure if I’ll make it. But this has been an amazing journey. Truthfully, I have never lost weight in December EVER before.